Turning conventional market wisdom on its head, John Tamny gave a thought-provoking presentation to students and faculty members to show why he thinks what is commonly believed about free markets is untrue. 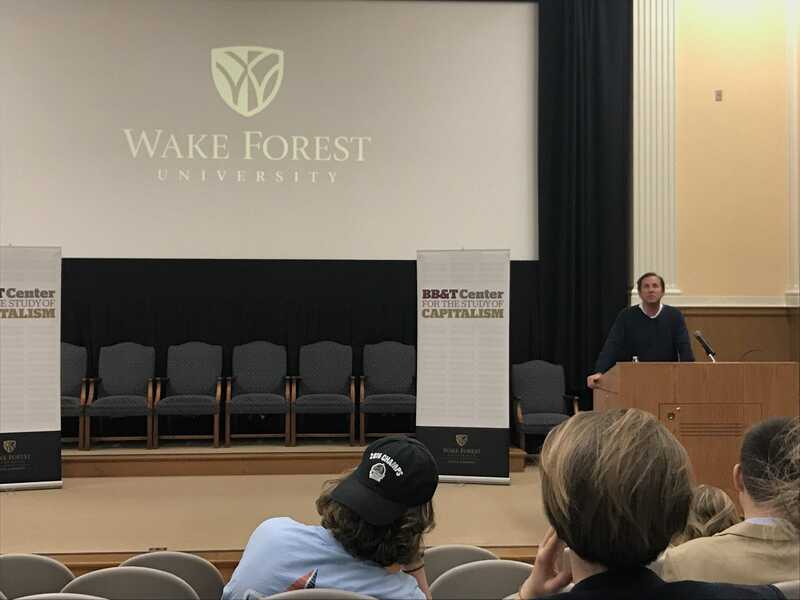 On March 23, Tamny, political economy editor at Forbes, gave a presentation on The Wonders of Inequality, sponsored by the BB&T Center for the Study of Capitalism. Tamny localized his argument, asking attendees of the event if they felt at all disenfranchised due to the fact that Wake Forest has educated some exceptional, unequal alumni such as Arnold Palmer and Chris Paul. Tamny explained that while inequality is under attack by politicians and government, they could not be more wrong. Tamny discussed his view that because the rich have money to lose, they are more likely to invest capital in entrepreneurial ideas. Tamny noted that businesses like Amazon, Coca-Cola and numerous Silicon Valley companies would have failed without the money of exceptionally wealthy people that could take risks on exciting new ideas that could have easily failed. Students asked questions and also offered criticism to Tamny, which he readily accepted and responded to. While at Wake Forest, Tamny also visited journalism students to talk about building a career in journalism. “He told us how the print industry is in decline, but that we still have opportunities to be journalists because of online media, digital reporting and other ways that are available of us to enter into the media field,” said junior journalism student Madison Yauger. 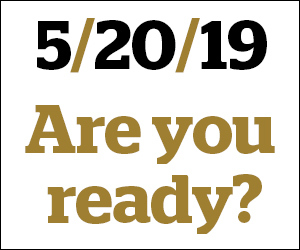 Besides being an editor at Forbes, Tamny is also the editor of RealClearMarkets.com, a senior fellow at the Reason Foundation, and a senior economic advisor to Toreador Research and Trading. Tamny is author of two books, his most recent being, Who Needs the Fed? : What Taylor Swift, Uber and Robots Tell us About Money, Credit and Why We Should Abolish America’s Central Bank. So now the Executive Director James Otteson of the Koch sponsored BB&T Center for the Study of Capitalism , has invited John Tamny a senior fellow at the Koch sponsored Reason Foundation to give a presentation. As usual for these Koch sponsored presentations a simplistic straw dog is presented and destroyed. The Koch’s ideology, which thinks taxes on the rich are a socialist plot, is far to the right of Hayek and Friedman. Study of Capitalism going to invite?? ?